I have been answering this question badly ever since I began my course back in August of 2017. To me, it’s not as simple as ‘well it’s just like a normal job but sometimes you have to do some structured learning somewhere else’. So, here are my two cents – feel free to disagree. Picture this, a relatively popular 16-year-old just having received his GCSE results, mildly disappointed but not surprised, a fantastic head of hair and no real plan for the remainder of his life. That was me in the summer of August 2016. With no real direction, it was easy for me to fall into the easiest option that presented itself, this easy option was the 6th form that was attached to my secondary school. Being pushed into the mindset of passing 5 GCSE’s to qualify for A-levels, then completing your A-levels to qualify for University, and finishing the whole process in your early 20’s with a 2:1 in a subject that your parents said would be a ‘Safe Degree’ and a big fat debt that follows your every move was a no from me, so I looked for other options. This is when I decided on the apprenticeship. I was blind to the idea that I could get an apprenticeship that didn’t involve either cars or construction. Up until this point I had a steady Saturday job at my Father’s car repair shop, I enjoyed the money but I quickly realised that I didn’t want to do this as my 9-5 for the rest of my working life. With the ashes of my recent AS-level results still smouldering, I found an advertisement for a Digital Marketing apprenticeship at Sleeping Giant Media. With my parents constantly rattling on about how I needed to do something at some point, I sent in my application. After a couple of phone interviews, I was invited to the office for a face-to-face interview. I was nervous but had no need to be. It didn’t take me long to realise that this office wasn’t normal, how could it be, with a ping-pong table and a bar in the middle of it? I was stoked to receive a job offer & the rest is history! – All the learning and stuff – weekly company-wide training seshes & 1-2-1’s with company experts. – Responsibility – not just making tea! On the whole, the whole apprenticeship thing has been pretty rad, the people here are great, a proper bunch of legends that are super willing to answer those little weird questions that everyone has when starting somewhere new. The training has by far been the most beneficial for me, it has developed my knowledge exponentially on a subject that I knew nothing about prior to enrolling. I think it is important to note that being an apprentice has changed in the last 10 years, we are no longer just the tea makers or the ones that fetch long weights and can never progress. Of course, you may have to deal with the odd joke about how young you are but, on the whole, we are treated with the same respect and given the same level of responsibility as any other new starter. So far, I honestly believe that the decision to enrol in an apprenticeship with Sleeping Giant Media is one of the best decisions I have ever made and I’m buzzing to see where it can take me. Interested in doing an apprenticeship in Digital Marketing? 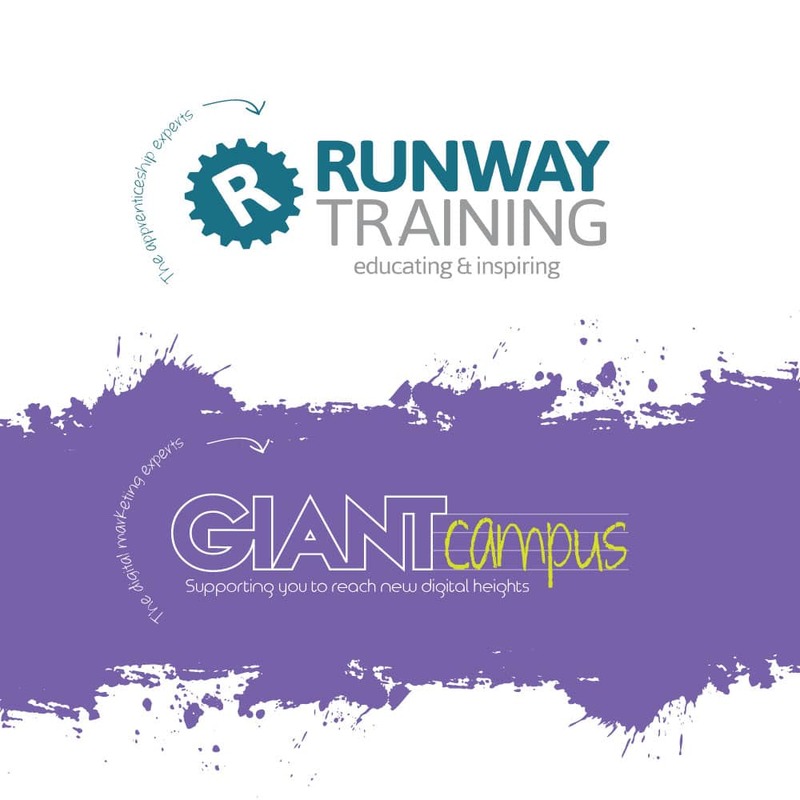 Earn your Level 3 and become a digital whizz with the guys at Runway Training & Giant Campus. Click here for more information.